Florida Georgia Line star Tyler Hubbard and wife Hayley brought baby Olivia along on their epic African tour. Details and pictures here! 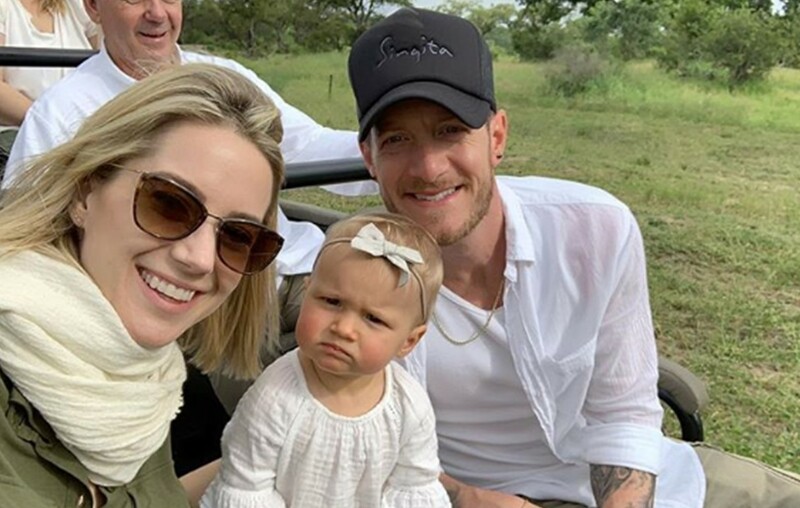 Florida Georgia Line‘s Tyler Hubbard and wife Hayley took an excursion to the Sahara Desert, Marrakech, and Kenya, with baby Olivia strapped alongside of them. Born on December 23, 2017, little Hubbard has been to Africa twice now – the first time she visited in her mommy’s belly. Hayley took to Instagram Olivia petting an elephant at the Sheldrick Wildlife Trust, a Kenyan organization dedicated to caring for orphaned elephants. “The last time Olivia was here she was in my belly. We so love sharing this special place with her now that she’s here with us. But mostly our love for elephants, nature, and this beautiful planet we call home. We can already tell she has a deep love and excitement for elephants, in particular and it’s so sweet! 🐘@dswt thank you and the ele’s for welcoming baby Liv!” she captioned. The last time Olivia was here she was in my belly. We so love sharing this special place with her now that she’s here with us. But mostly our love for elephants, nature, and this beautiful planet we call home. We can already tell she has a deep love and excitement for elephants, in particular and it’s so sweet! 🐘@dswt thank you and the ele’s for welcoming baby Liv! The pictures Tyler and Hayley have shared via social media have been adorably breathtaking. Enjoy this picture montage of the Hubbard’s trip with baby Olivia cheesing it up. Here, we have Tyler recreating the scene from the Lion King when Rafiki holds Simba in the air at the top of Pride Rock. “Really mom, another picture?” Olivia doesn’t look too thrilled when Hayley tried to take a selfie of the country star and his two girls. Another unsure facial expression thrown at the camera from Olivia while meeting the Giraffes. Share this update of the Hubbard’s family trip to Africa with other FGL fans!